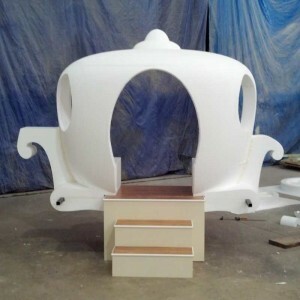 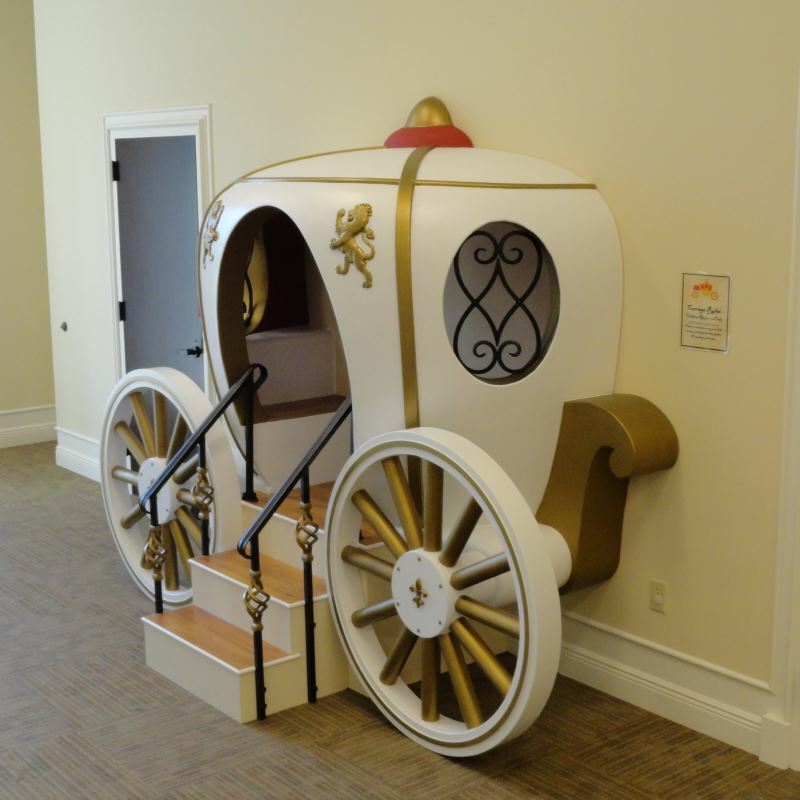 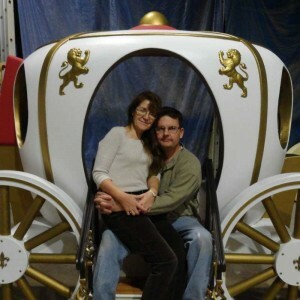 Children at the Troy Public Library (Troy, AL) got a new addition to their fairy tale castle-themed room with a new “Cinderella”-style carriage built by Blockwire. 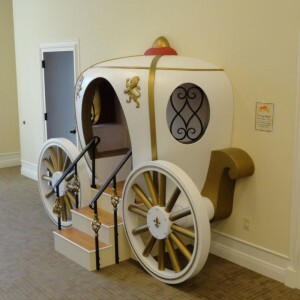 Installed just after the one year anniversary of the library’s grand opening, the carriage offers 2 to 4 children at a time, the opportunity to climb up inside the carriage and read, play or just pretend. 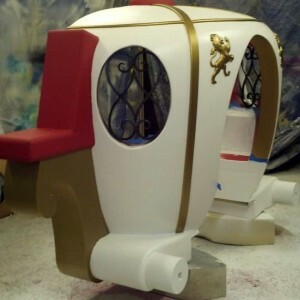 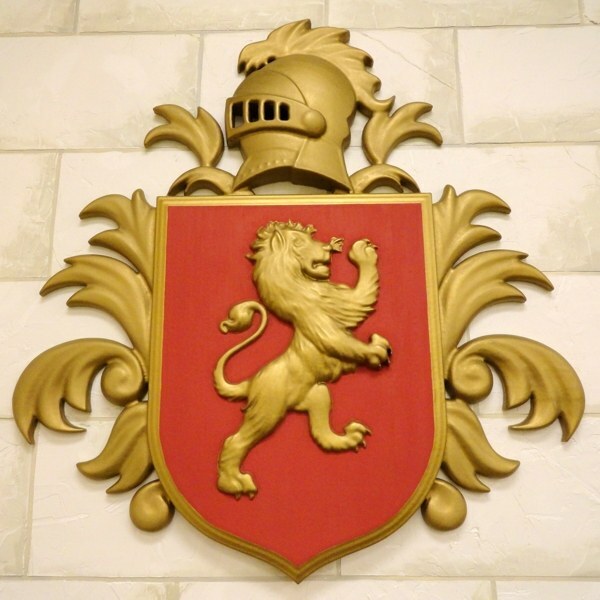 This was a truly multi-media project involving a wood and steel base, laminate floors, pvc seat backs, cast iron rails and windows, and of course, a 3 dimensional foam-core body with hand painted details. 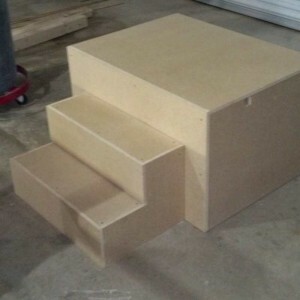 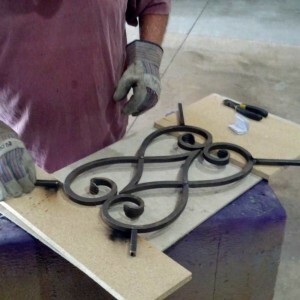 The project was completed in about 6 weeks and installed in just a couple of hours. 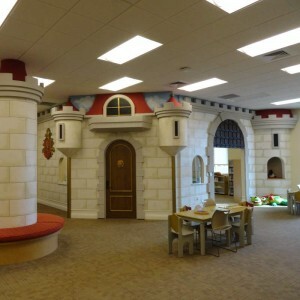 The library staff say the kids love it and they have plans to add even more features for the children to enjoy. Thank you Troy Public Library! 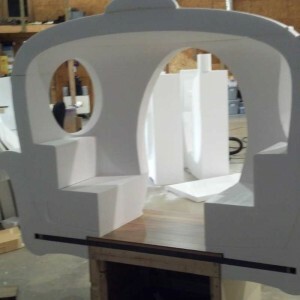 This has been a really fun project to be involved with and you’re doing great things for this community.